Guinea-Bissau is located on the west coast of Africa covering a total area of 36,000 square kilometres and has a population of 1.6 million. The official language is Portuguese. 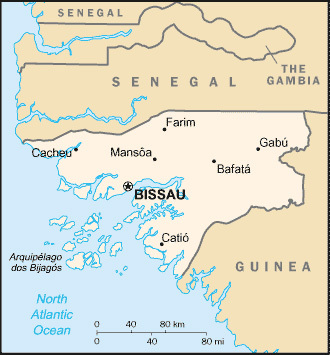 Bissau is the capital with an area of 78 square kilometres and a population of 431,000. It is the biggest city and the political, economic and cultural centre in Guinea Bissau. Guinea-Bissau is the most important fishery in the Atlantic Ocean and 56％ of the country is covered with forests. Forest products are the major traditional export products in addition to products from the fishing industry. It enjoys abundant water resources and is known as the “tropical water village”. The currency of Guinea-Bissau is FCFA. 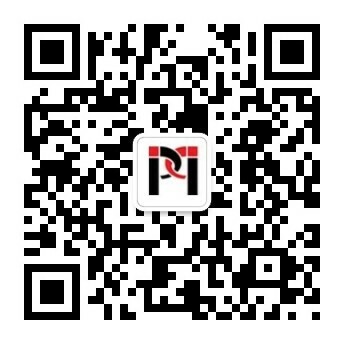 RMB and FCFA do not have a direct exchange rate. This currency can be converted freely. Recently, Guinea-Bissau has relaxed the control over foreign exchange and adopted a floating exchange rate. There is no independent industrial system in the country, so most of the consumer goods are imported. The consumer price index for basic necessities is increasing annually. Advised by IMF and the World Bank, Guinea-Bissau has successively adopted “Restructuring Plan”, “Recovering Private Ownership and Development Proposal” and “Debt Alleviation Plan for Heavily Indebted Countries”, aiming to eliminate official control over the market and prices, developing the private economy, implementing trade liberalization, tightening government finance, and reducing fiscal deficit. After many years’ effort, the economy of Guinea-Bissau has improved, showing a significant reduction in the budget deficit. The commodities are becoming more diversified and the economy is coming out of a slump. Guinea-Bissau is a typical agriculture country with 68％ of the population engaged in the agricultural sector. The area of arable land is over 900,000 hectares. Its major crops include rice, cashew nuts, palm, cassava and peanuts. The tertiary industry accounts for 40％ of the GDP. The core of its tax system consists of income tax and value-added tax, its major types of taxes are: industrial tax, professional tax, property tax, super tax, sales tax, Stamp duty, transaction tax and fuel tax. The preferential policy offered by Guinea-Bissau to foreign investment: investment projects of non-restricted categories enjoy 50％ tax reduction. The restriction categories are export trade of traditional primary products (such as cashew nuts, cocoa, palm oil and timber), auto leasing, maintenance, cafe, beer, night clubs, catering, bakery, clothes shops and gaming industry. No exemption or tax reduction is offered to the above-mentioned categories. Economy and Trade Major trading partners of Guinea-Bissau are Portugal, Senegal, Spain, Morocco, Gambia, China, Thailand, Vietnam, Uruguay, Nigeria and Italy. In 2016, China-Guinea Bissau’s bilateral trade exceeded US$ 30 million, among which China mainly exports mechanical and electrical products, high-tech products and textiles and imports cashew nuts, zirconium ores and timber from Guinea-Bissau. (a)Derived from partners’ trade returns, subject to a wide margin of error.